The A–2 Flight Jacket was made famous by U.S. Army airmen who wore them as a testament to their bravery, independence, and skill. Service tested in 1930, the A 2 Jacket was adopted as the regulation Army Air Corps Flying Jacket on May 9, 1931. Its style continues to be a perfect example. The A2 Leather Flight Jacket, sometimes referred to as the A2 Bomber Jacket was adopted by the Army Air Corps as standard issue in 1931. 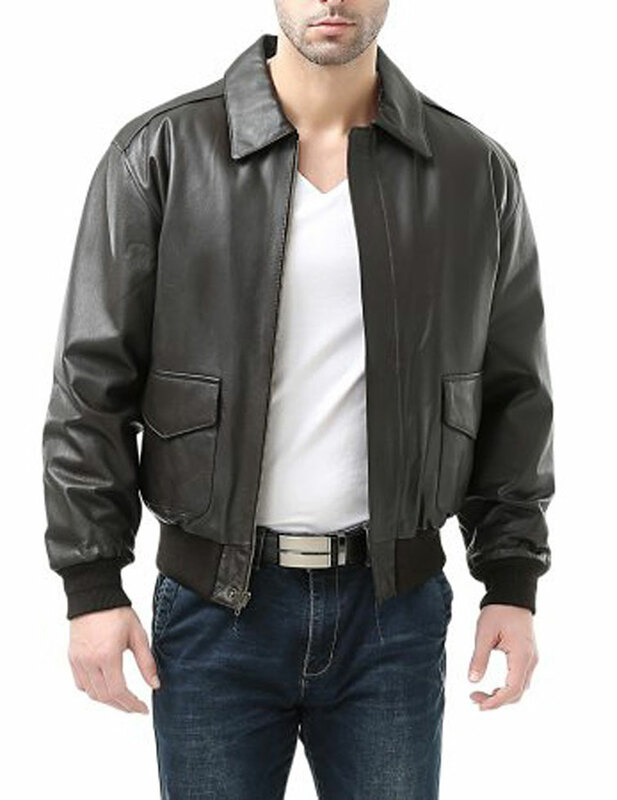 The A2 Leather Flight Jacket was made famous by the U.S. Army Air Corp airmen of World War II. The first A2’s were made of Horsehide, then Cowhide and then switched to Goatskin in 1943. Fliers and crewmen adorned their jackets with squadron patches and often hand painted nose art replicating their aircraft. All A2 Leather Flight jackets had several distinguishing characteristics: two front snap patch pockets on either side without hand warmer compartments (hands in pockets were considered unfit for a military bearing), snap-down collar, shoulder straps, knit cuffs and waistband, a single piece of leather on the back to limit stress on the garment, and either lightweight silk or cotton inner lining. In 1943 the Army canceled any further leather jacket contracts in favor of newer cloth-shell jackets like the B-10 and B-15. The jackets continued to be popular with Aircrew members for the balance of the war continuing into the Korean War.